Aug 24 (NIA) – A 6.8 magnitude earthquake struck many parts of Bangladesh on Wednesday shaking high rise buildings and spreading panic amongst citizens. The powerful tremor, with its epicentre in central Myanmar’s Chauk, was felt in different regions of Bangladesh, including the port city of Chittagong and capital Dhaka. Local media reports said that there were no immediate reports of deaths but atleast 20 people were injured in Dhaka, as they fled a building. 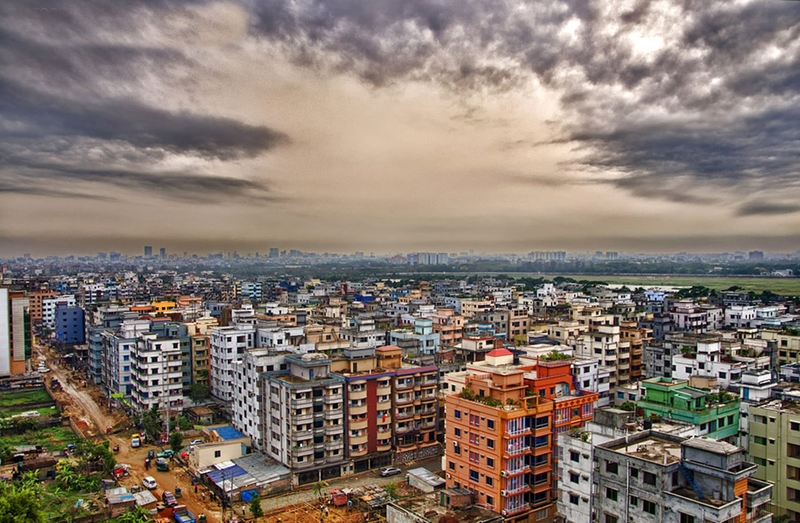 Dhaka University Earth Observatory Curator Prof Syed Humayun Akhter told local journalists that the earthquake’s epicentre was in Chauk, some 500 kilometres from Dhaka, at a depth of 84 kilometres. The earthquake which struck central Myanmar on Wednesday afternoon killed atleast one person. Tremors were felt as far away as Thailand, Bangladesh and India, sending fearful residents into the streets. Eyewitnesses said that people in Dhaka and Chittagong were seen rushing out of buildings and to open spaces as the quake struck.